Intellectually properly became a very sensitive subject especially when it comes to digitally distributed goods and products. The biggest prejudices are cause to independent artists such as photographers, graphic designers or artwork creators. For this particular type of products can only be protected if the owners put watermarks on photos or images. So how to put watermark on photos without doing it one at a time? A true's artists biggest nightmare is to have his work shared around or even sold without his consent on third party websites by others that just found his intellectual property unprotected. Such abusive acts can cause a lot of harm and the owner ends up not getting paid for his work which in return can force him out of the business. This is one of the genuine ways that kill photographers and digital artists in the internet age. On the other hand, the issue can be dealt with fairly easy. Watermarks can make the digital photos unusable. It can be extremely difficult to do it in a standard photo editor. Since artists tend to work with hundreds of images as the same time, watermarks need to be embedded in bulk. 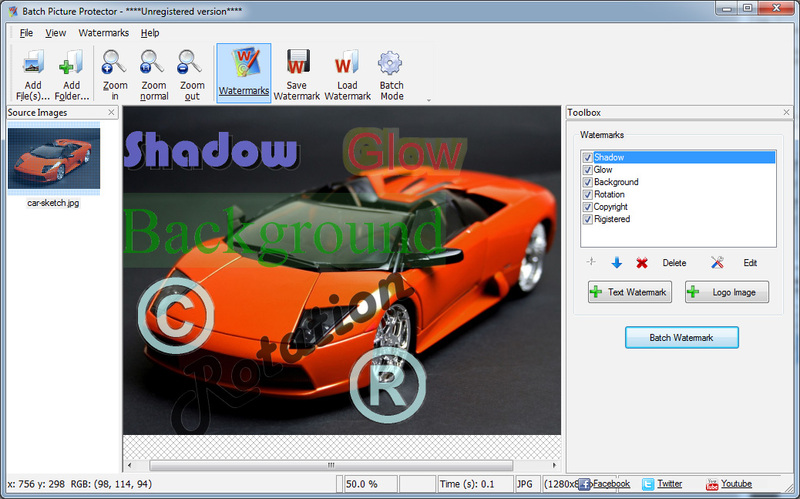 Batch Picture Protector is a great example of how a 7 MB piece of software can prevent intellectually property theft, copyright infringement and financial prejudices. It is an easy-to-use piece of software that serves more than one purpose. 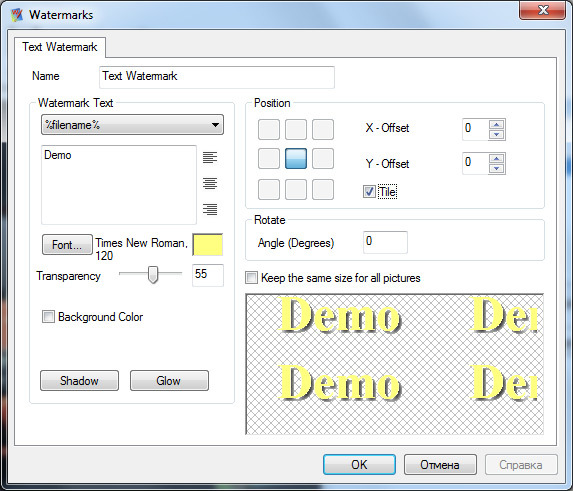 It can be used to send "demo" images to potential customers. The artwork or digital photos can be imprinted with any type of text or even images as a means to provide the customer a quick preview without having to worry that he will use it without paying for it. It is a very simple solution that can successfully aid the ones that still wonder how to put a watermark on a photo with very little effort.